Welcome to the online home of StrawBerry Ridge, a retirement community near Tampa, Florida, that caters to the lifestyle goals of adults ages 55 and older. Our community is a place where retirees from various walks of life are able to stretch their savings to the fullest. In addition to having an excellent selection of affordably priced, low-maintenance manufactured homes, StrawBerry Ridge has two spacious clubhouses full of amenities that are exclusively for the enjoyment of our residents and their guests. 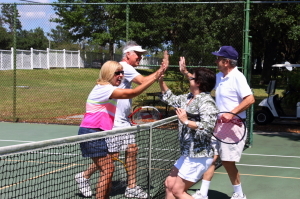 Our retirement community isn’t just a place to live … it’s a lifestyle! Residents of StrawBerry can stay as active as they’d like, or spend their days relaxing in our peaceful community, which is tucked away in a quiet suburb of Tampa Bay. If it’s an active lifestyle you prefer, StrawBerry Ridge offers residents the option of waking up each morning with convenient access to loads of amenities and plenty of social and recreational activities to participate in with like-minded neighbors. The best way to learn whether buying a home at StrawBerry Ridge is right for you is to visit our wonderful 55+ community and see for yourself all the great things that it offers to retirees. Doing so will also provide you the opportunity to speak face to face with current residents of our retirement community and hear from them the many excellent benefits of becoming a StrawBerry Ridge homeowner. Contact our Lifestyle Team today to request additional information and schedule your complimentary tour. Our 55+ community is one of the best in the Tampa, FL, area.